Fish cage farming is practiced all over the world. By keeping fish in cages, entire communities can share a body of water, while each farmer can tend to their own individual fish farm. Fish cage farming is attractive to many individuals because a large crop can be raised, tended and harvested in a small area. Since the fish are in a concentrated area, problems can be quickly recognized and addressed. 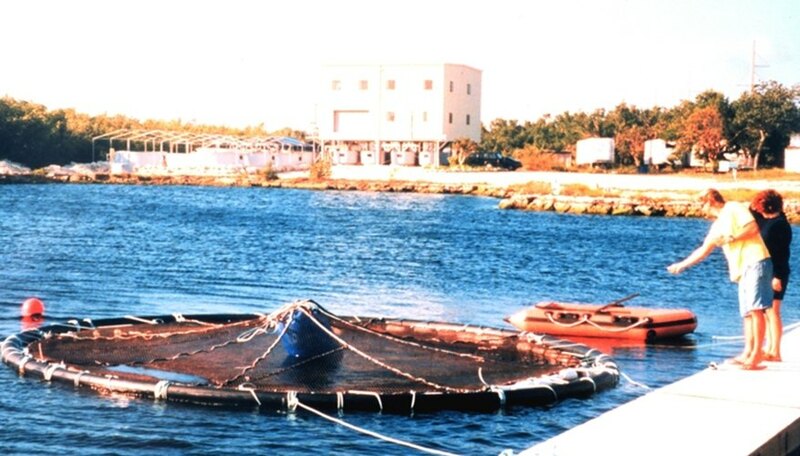 Rigid cages for fish cage farming are made from either a hard plastic mesh or wire webbing. Flexible cages are made by building a frame, then covering it with netting made from nylon or a similar material. The type of frame used depends upon where it will be placed. Flexible cages are only suitable for still waters where there is little threat from predators, such as turtles or large carnivorous fish. Most species of fish can be raised in fish cages. Some species do better than others and some strains within a species will do better. Talk to your local Cooperative Extension Office to see which fish are the most successful and available in your area. Fish become stressed any time they are handled or moved. To reduce stress-related problems, the fish cage farm should be stocked in the springtime, before water temperatures exceed 60 degrees Fahrenheit. Fish should be stocked at a density of five to eight fish per cubic foot of cage volume. Lower densities actually encourages aggressive behavior. Species that require highly oxygenated water, such as trout or salmon, can only be raised in moving water such as rivers, ocean bays or recirculating aquacultural systems. All species must have some water movement, otherwise waste will build up under the cage. Nitrites and ammonia from the waste will negatively affect fish health and growth. To help prevent waste buildup, cages should be suspended at least two feet from the bottom of the lake or pond. Nearly all of the caged fish's nutrition will come from fish food. Commercial fish feed contains the balance of proteins, amino acids, vitamins and minerals the fish need to grow and stay healthy. Floating pellets reduce waste and allow the cage fish farmer to monitor how much food is being eaten. One of the benefits of fish cage farming is the ease of harvesting the fish. Fish may be removed with a hand-held net and processed or transported as they are removed. If the cage is large, nets may be used to move the fish toward one corner, where they may be more easily hand netted. 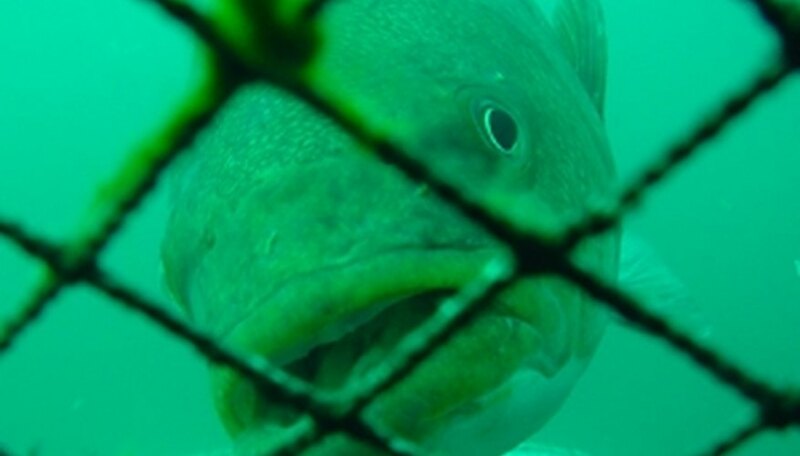 With the high density of fish used in cage fish farming, diseases and parasites spread quickly among the fish. Constant monitoring is required. 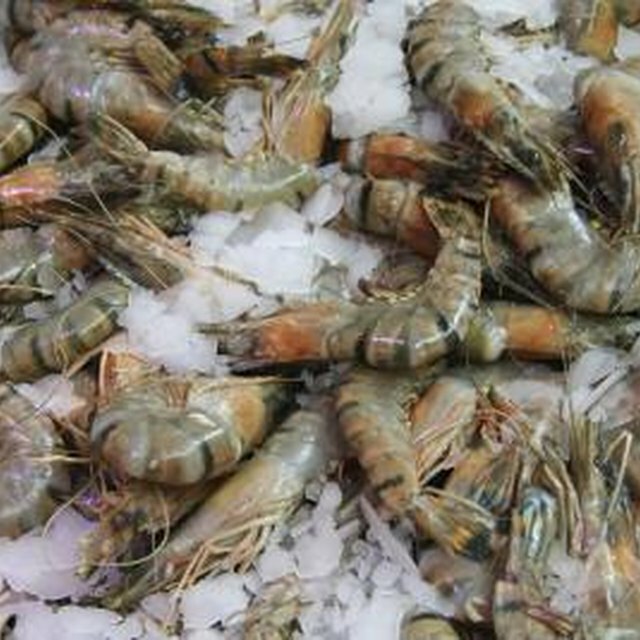 Reduced food consumption by the fish is frequently a sign of disease or water-quality problems. Oxygen levels in the water are influenced by water temperature, algae, plankton, sunlight and decomposition of plants, excess fish food and normal fish body waste. Artificial oxygenation is frequently required to maintain a healthy oxygen level. Hallier, Dave. "Fish Cage Farming." 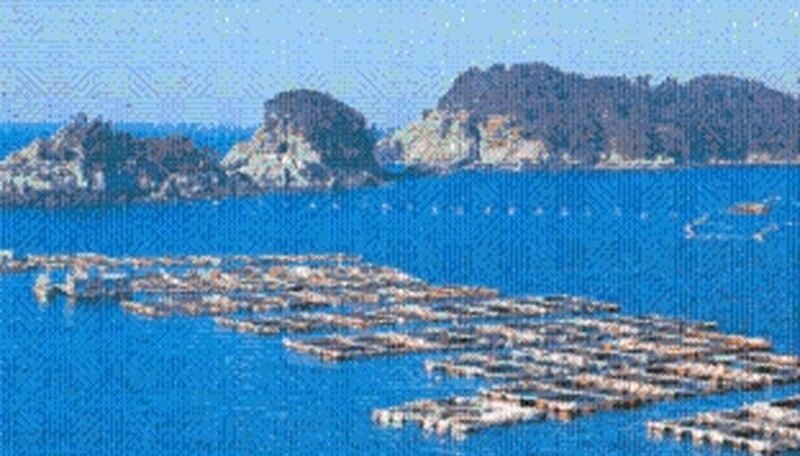 Sciencing, https://sciencing.com/about-5489412-fish-cage-farming.html. 09 January 2018.